Taser International, has been at the forefront of innovation in public safety technology. 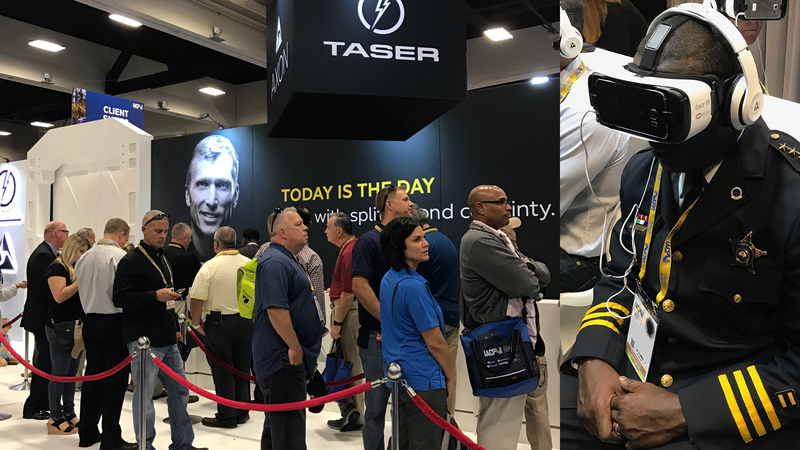 At the IACP Conference (International Association of Chiefs of Police) Taser highlighted their Axon brand, encompassing a suite of connected products from body cameras to evidence management with a unique and powerful Virtual Reality demonstration. The goal was to place police chiefs into a real-life situation that their police officers are faced with every day. With VR, Groove Jones was able to place them in the middle of a frightening, life and death situation as it unfolded around them. It was riveting, powerful and tense. 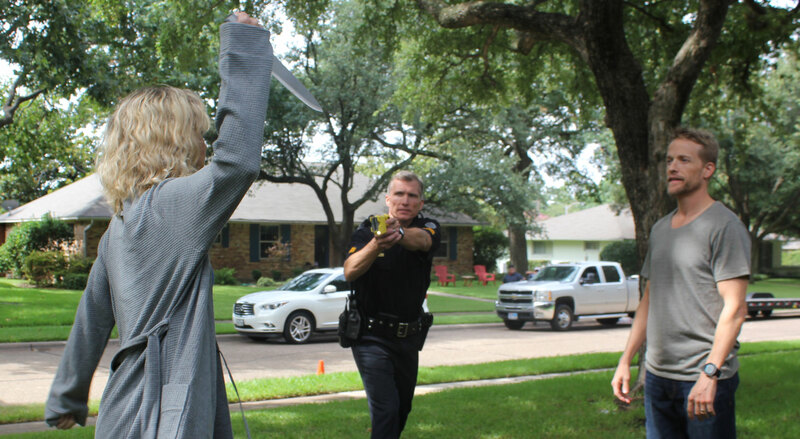 The experience begins with a simple police call and the question – “Is Today the Day?” As you drive up in your patrol car, you see an argument out on a front lawn. Neighbors are watching as a couple is fighting. Within seconds the situation escalates and the officers on duty are faced with some serious decisions. 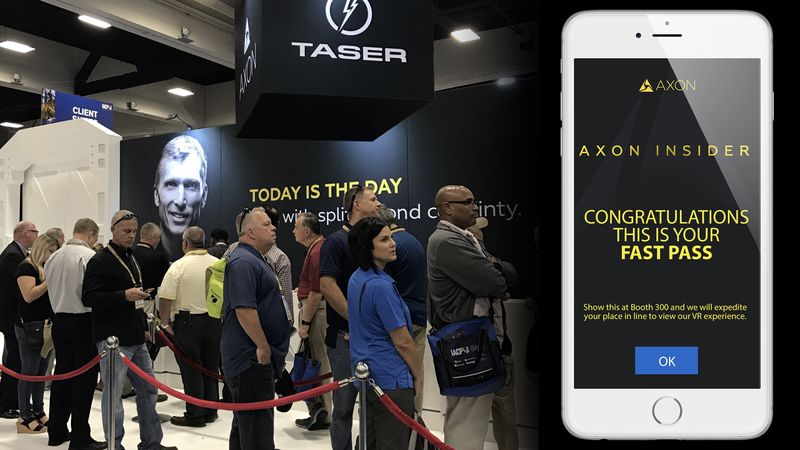 The whole situation highlights the Taser’s Axon technology which gives law enforcement agencies the flexibility and the versatility to operate with increased transparency and efficiency. How do you allow hundreds of trade show participants to experience VR? 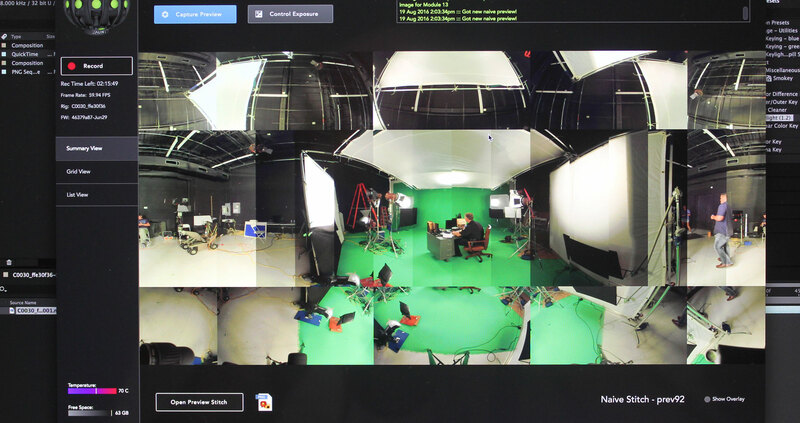 We delivered the technology to Taser for their VR Theater. 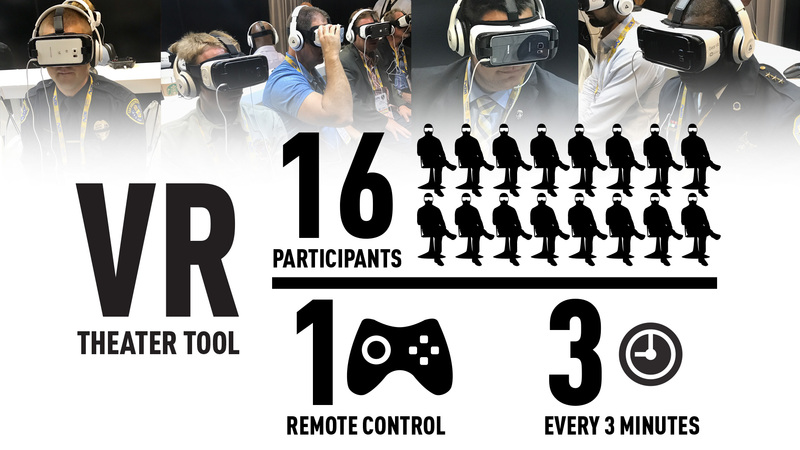 The VR experience launched at the conference along with a new Mobile App – Taser Insider that included a special FastPass to the event. Once inside, Groove Jones implemented a remote control technology that allowed Taser to have 25 police chiefs view the experience at the same time. 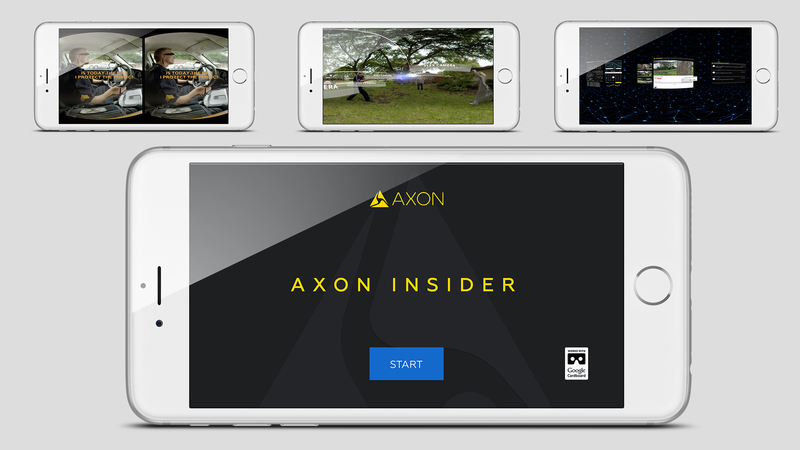 Immediately following the trade show, every law enforcement officer will have access to the virtual reality experience through the Axon Insider mobile app. The VR experience gives officers a unique 360-degree view on how the Axon network of devices and apps enables them to go with confidence from the field to the courtroom. 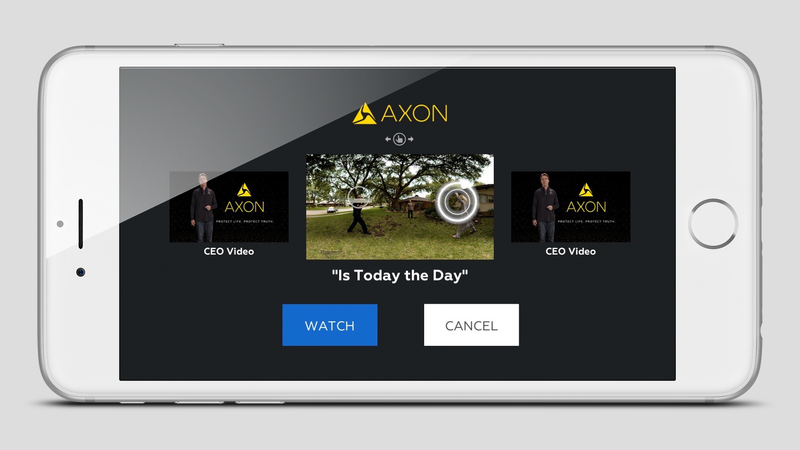 The video is available in the Axon Insider app, which can be downloaded from the Apple App Store and on Google Play. Attendees that downloaded the Mobile VR App gained access to a special “Fast Pass” that could be used at the Trade Show and allowed them to bypass the lines at the event. Actual Police Officers were used in the scenes which were shot in and around Dallas, Texas. Learn about our exciting Sandbox Work.